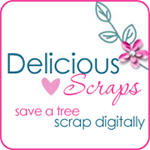 Delicious Scraps: New CT Member Brandy! and Gorgeous Layouts!! New CT Member Brandy! and Gorgeous Layouts!! I would like to introduce Brandy - newest CT member!! You must visit her blog HERE to check out her beautiful work!! Very talented lady!! Welcome to the team!! Here is a CUTACIOUS LO made by her with "StrawberryLicious". Here is another beautiful LO with this kit made by Amanda! Click on the layout to visit her blog! Thank you SO MUCH ladies for the wonderful pages!! Oh and if you have not gotten the kit yet here is the preview :) It is only $1 at my shop! Also there is a free add-on to the kit!! Click on the image to download! I love this alpha. thank you so much! Such cute layouts. I love the add-on and the alpha is wonderful. WOW, I LOVE that! Thanks for the freebie too! I just found your blog today--so cute! I love your stuff! I'm headed to your store to pick up some goodies! love, love, love the alpha...thanks for sharing! I love the alpha! Thanks so much! Love it love it love it! Thanks so much! You are so talented!